The investment – a personal one and not part of Gatesâ€™ philanthropic Bill & Melinda Gates Foundation – will be followed by another $50 million in start-up ventures working in Alzheimerâ€™s research, Gates said. With rapidly rising numbers of people suffering from Alzheimerâ€™s and other forms of dementia, the disease is taking a growing emotional and financial toll as people live longer, Gates told Reuters in an interview. â€œItâ€™s a huge problem, a growing problem, and the scale of the tragedy – even for the people who stay alive – is very high,â€� he said. Despite decades of scientific research, there is no treatment that can slow the progression of Alzheimerâ€˜s. Current drugs can do no more than ease some of the symptoms. Gates said, however, that with focused and well-funded innovation, heâ€™s â€œoptimisticâ€� treatments can be found, even if they might be more than a decade away. â€�Itâ€™ll take probably 10 years before new theories are tried enough times to give them a high chance of success. So itâ€™s very hard to hazard a guess (when an effective drug might be developed). Dementia, of which Alzheimerâ€™s is the most common form, affects close to 50 million people worldwide and is expected to affect more than 131 million by 2050, according to the non-profit campaign group Alzheimerâ€™s Disease International. Gates told Reuters the additional $50 million would be put into start-ups working on some â€œless mainstreamâ€� approaches to the disease, but said he had not yet identified these companies. The philanthropist, whose usual focus is on infectious diseases in poorer countries, said Alzheimerâ€™s caught his interest partly for personal reasons, and partly because it has so far proved such a tough nut to crack. â€œI know how awful it is to watch people you love struggle as the disease robs them of their mental capacity … It feels a lot like youâ€™re experiencing a gradual death of the person that you knew,â€� he said in a blog post about the dementia investments. â€�Some of the men in my family have suffered from Alzheimerâ€˜s, but I wouldnâ€™t say thatâ€™s the sole reasonâ€œ (for this investment),â€� he added. Jeremy Hughes, chief executive of the Alzheimerâ€™s Society charity, welcomed Gatesâ€™ â€œsignificant personal investmentâ€�, saying it would speed up progress toward a cure and help reduce stigma around dementia: â€œWith Bill Gates now joining all those already united against dementia, there is new hope for advances in the care and cure of dementia,â€� he said in a statement. Through talking to experts in the field over the past year, Gates said he had identified five areas of need: Understanding better how Alzheimerâ€™s unfolds, detecting and diagnosing it earlier, pursuing multiple approaches to trying to halt the disease, making it easier for people to take part in clinical trials of potential new medicines, and using data better. â€œMy background at Microsoft and my (Gates) Foundation background say to me that a data-driven contribution might be an area where I can help add some value,â€� he said. 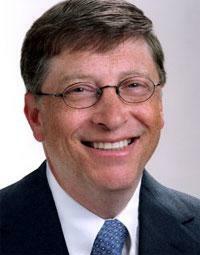 The post Bill Gates makes $100 million personal investment to fight Alzheimer’s appeared first on Vanguard News.